A Eurasian species, cultivated and sometimes escaped to moist places along rivers, swamps, and ponds. Fist collected in 1924 in Washtenaw Co. This is the black currant of gardens, the true currant of black currant preserves and not the small raisin called a “currant” in commerce. MICHIGAN FLORA ONLINE. A. A. Reznicek, E. G. Voss, & B. S. Walters. February 2011. University of Michigan. Web. 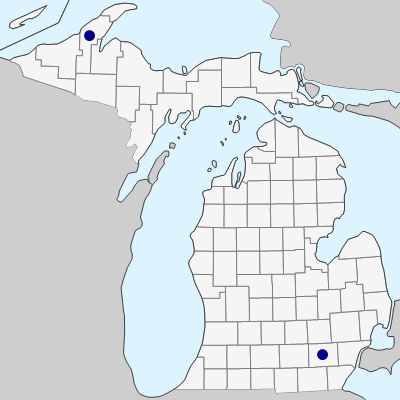 April 21, 2019. https://michiganflora.net/species.aspx?id=1419.